Sago or sabudana is often considered as a super food which is full of energy and carbohydrates. Sago is basically extracted from the sago palm trees or more importantly from their stem in a starch form. Sago is also known as tapioca pearls. It is one of the rich sources of starch and carbohydrates and is used as a culinary delicacy in many cuisines, especially in India. Sabudana is full of energy and can be safely had by any individual, irrespective of age. In festive seasons, dishes related to sabudana or tapioca pearl is much common in every household of India. 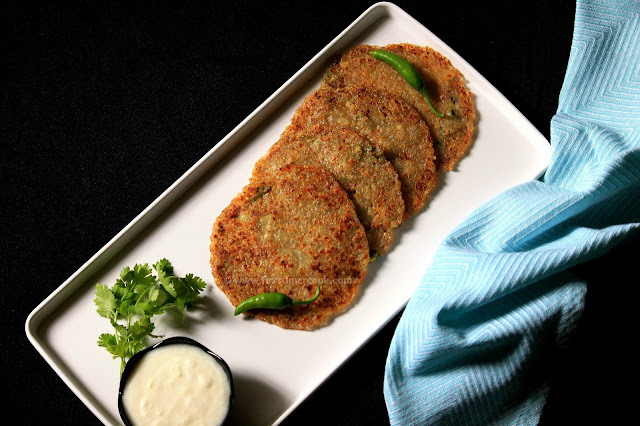 The sabudana pancake is a delicious Maharashtrian cuisine which also named as sabudana thalipeeth. This is basically made from tapioca pearls, potatoes. The addition of potatoes to the recipe makes it soft and also acts as a binder for the pancake. 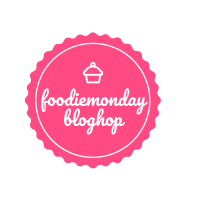 This is a much flavor-full, very easy and simple traditional fasting dish. 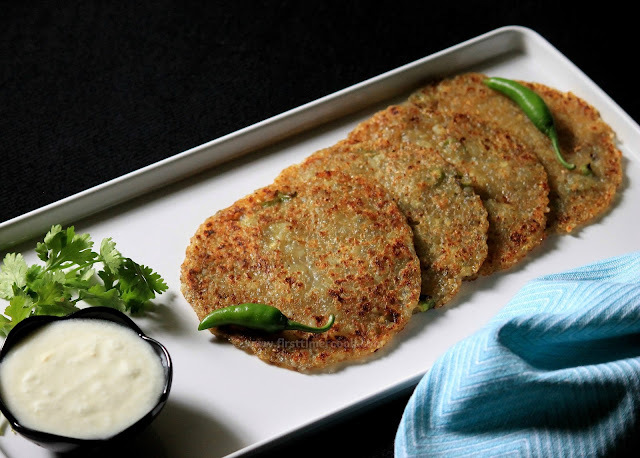 The dough is same as of sabudana vada, but this recipe uses no oil. Traditional recipe uses some ground peanuts, but I have not used them here as I ran out of peanuts. 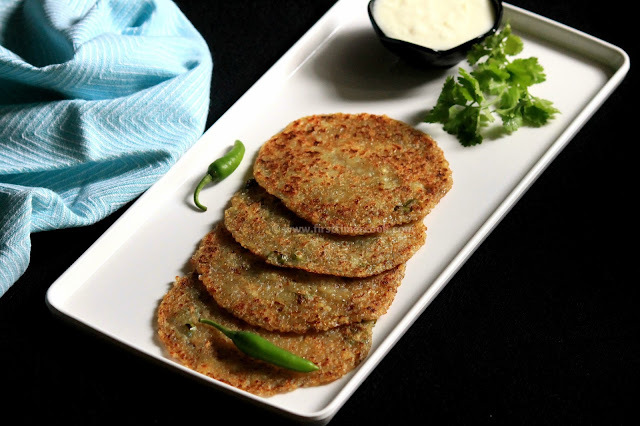 Sabudana pancake tastes very delicious and is quite filling too. 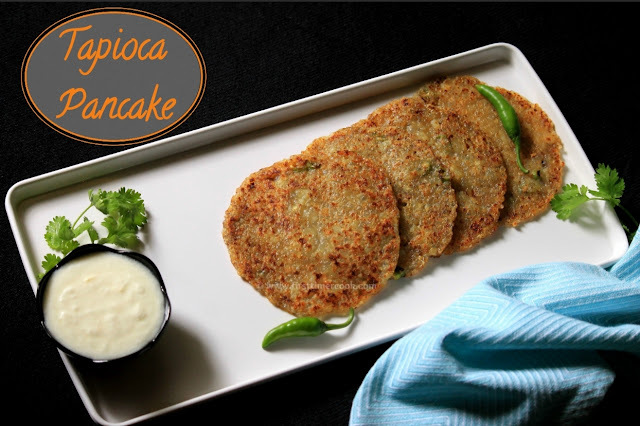 This tapioca pancake recipe is contributed for 111th Foodie Monday Blog Hop where the theme is #DurgaPujaRecipes. In a large mixing bowl, mash the boiled potatoes, then add finely chopped green chilies, grated ginger, chopped coriander leaves, salt, soaked sabudana. Mix everything well to make a dough type mixture. Take a lemon size ball of dough mixture. Flatten the ball to about 4" circle by placing in between two plastic sheets. Heat a nonstick pan and place the flattened dough on hot pan. Cook for 1-2 minutes. Using a flat spatula, flip the pancake and cook the other side for 1-2 minutes. Remove the tapioca pancake from the pan. Repeat with rest of the dough mixture. Serve hot with curd ! This is totally a no-oil recipe. If desire, little oil or ghee can be used while cooking the pancake. For fasting purpose, use sendha namak instead of normal salt. I love Sabudana Thalipeeth and yours lookso golden inspite of using no oil. These pancakes looks so delicious. so perfectly made. 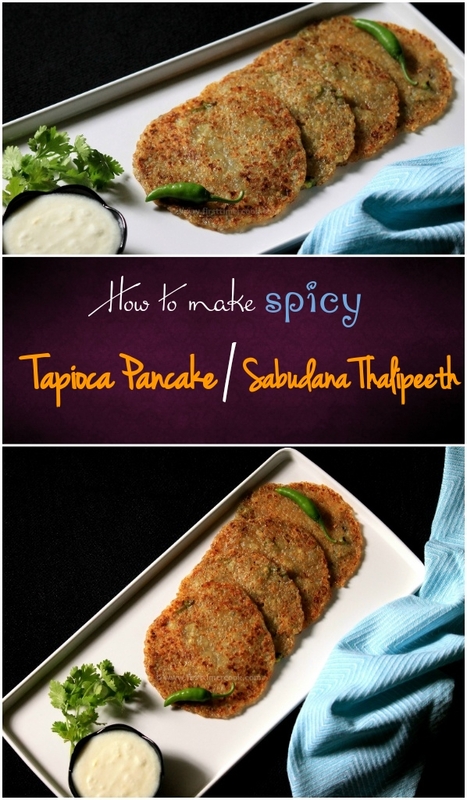 I just love Sabudana in any way and this looks do utterly delicious! Thalipeeth looks so tempting. Perfect brown without oil. Amazing. I've yet to try making thalipeeth. 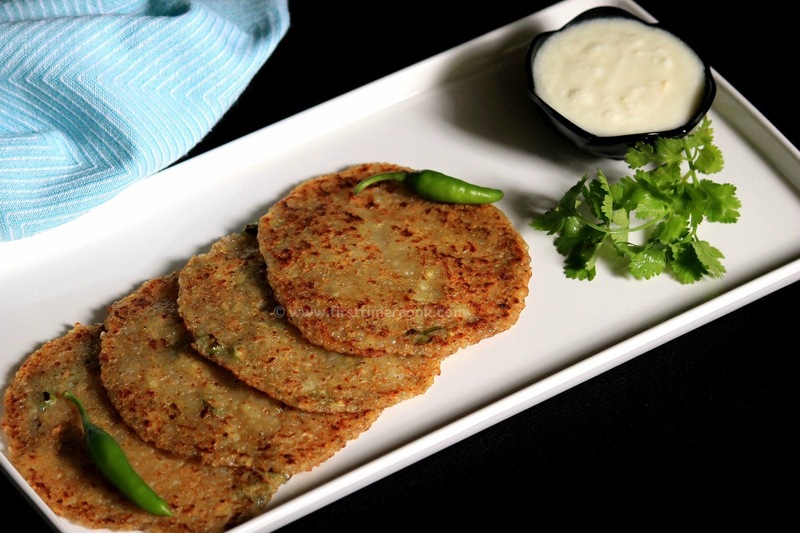 I love sabudana vada so am sure I'd love this thalipeeth and without any oil. I love the cute oil free Tapioca pancakes. Superb share for the theme.